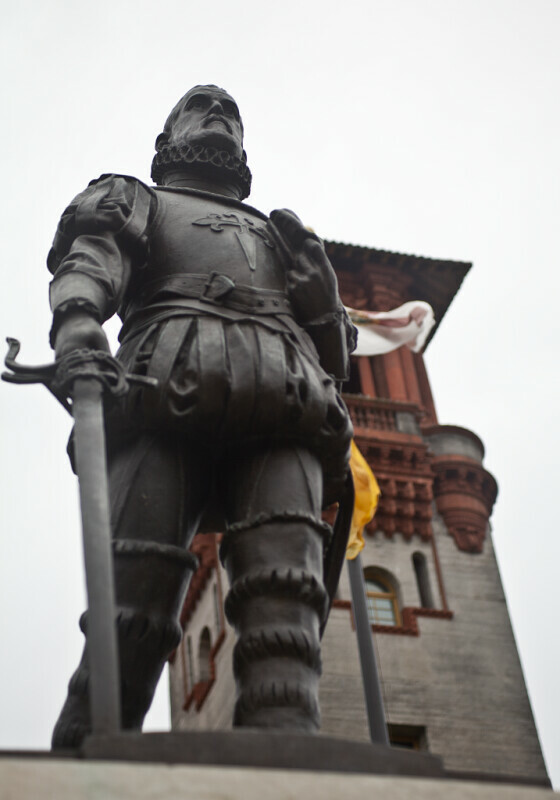 This bronze statue depicts Don Pedro Menendez de Aviles. The statue is holding a sword, with the point toward the ground. Menendez is credited with founding the first Spanish settlement at St. Augustine.